Navigate our world’s wild weather in a gripping 3D journey to climatic extremes! Shoot from a jet stream to a hurricane’s eye and a mighty avalanche to see the force of nature in action. 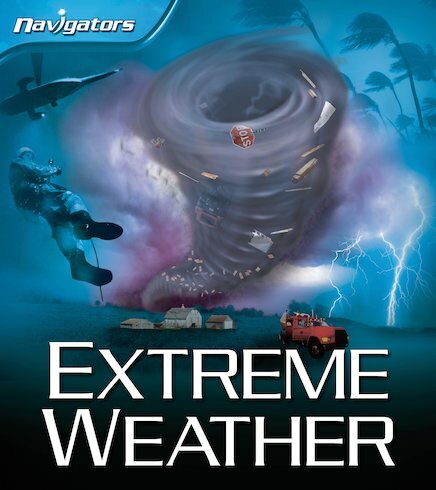 With jaw-dropping 3D artwork for maximum impact, this Navigators book guides readers through the dramatic effects of Earth’s most extreme weather conditions, from savage storms and tornadoes to lightning, blizzards, drought and giant hail. It’s the ultimate visual guide to wild weather. Take cover as its power is unleashed!